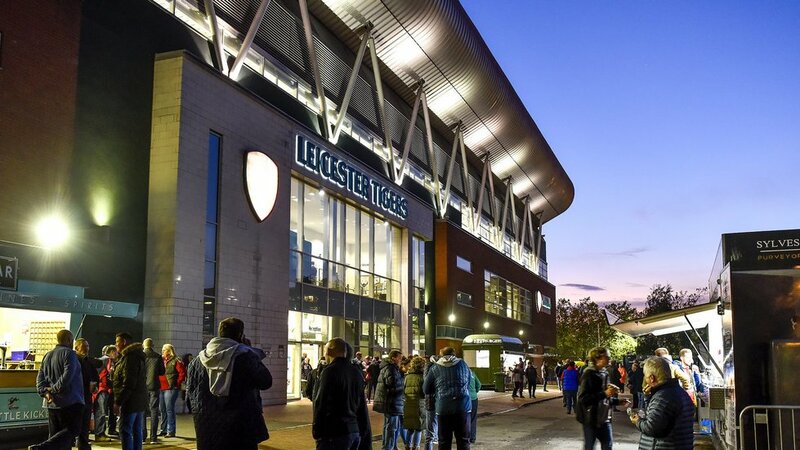 Kick-off your weekend at Leicester Tigers this Friday evening with a Premiership Rugby Cup fixture against Sale Sharks at Welford Road (7.45pm kick-off). 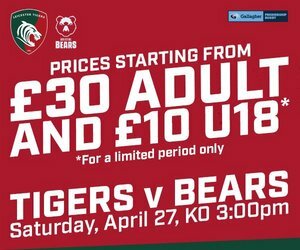 This game is included in all Tigers season tickets, and match tickets are available now to all other supporters. If you hold junior season tickets or juniors as part of family season tickets, you can upgrade to adults free of charge for this fixture if you feel kick-off is too late for young supporters. Contact the ticket office to arrange an upgrade. Or if you want to bring a group of friends or colleagues from your club, school or workplace, contact the Tigers Group Sales team now. Match tickets are also on sale now for all home games in the first half of the season, including the European fixture against Racing 92 in December and the matches over the Christmas and New Year holiday period. A selection of Ticket Bundle packages are also available at special prices. Book a Winter Bundle to guarantee your place for games against Saracens, Racing 92 and Harlequins; or the Big Game Bundle to see Tigers versus Harlequins, Wasps, Northampton Saints and Bath. A Half Season Ticket secures your place for home games against Gloucester, Wasps, Northampton Saints, Exeter Chiefs, Bristol Bears and Bath in the Gallagher Premiership and Ulster in the Heineken Champions Cup. The club’s allocation of tickets for the Heineken Champions Cup tie away to Racing 92 in Paris next month goes on sale to season ticket holders and members on Monday (November 5). Click here for more details. Supporters heading to Paris can enjoy a unique experience and travel with the Tigers team with a package organised by travel partners Thomas Cook Sport. Click here for full details.